Star Wars slippers will keep your feet warm with the power of The Force! Let the adorable BB-8 guide you around the house! Available in sizes Small and Large. Let your favorite Star Wars characters keep your feet warm on those cold winter nights! 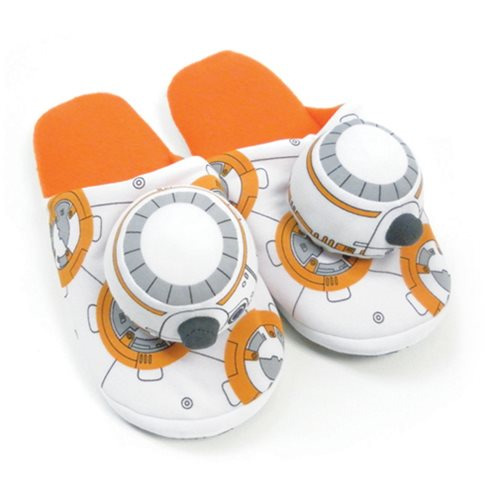 These BB-8 slippers are just what you need for lounging around the house, while still proudly displaying your love for Star Wars! Order yours today! Ages 14 and up.